with the most current shows at the top of the page. America's Stonehenge with Director Dennis Stone. The Secret Island of the Knights Templar. Earling Haagensen, co-author with Henry Lincoln of The Templars' Secret Island, discusses his home of Bornholm, a small, sacred island off the coast of Denmark that the Knights Templars once used as their northern headquarters and built 15 churches/temples upon its vortexual landscape. Count Alexandre De Bothuri Bathory discusses his royal family, the Bathorys, ancient rulers of Transylvannia, as well as his new occult novel, She Messiah, the Dragon Orders and Courts he is a member of, the Knights Templar of Lohengrin, and the whereabouts of certain artifacts, such as the finger and Head of John the Baptist. The International Dragon Conference for May, 2012 in Lusignan, France is announced near the end of the interview. Aleksander Jovanovic, a member of the Serbians Clan of the Black Dragon, discusses Rtanj, the sacred pyramidal mountain in Serbia with a man-made pyramid inside possibly made by Sirians in ancient times, as well as the legends that Serbia was the European Garden of Eden. the St. Clair or Sinclairs, using DNA markers. Author Kevin Guest discusses his book The Mysteries of Solomon's Temple. Dr. Bob Hieronimus speaks about Secret Societies and the Founding Fathers, and how they worked together to found the US. Austrian Klaus Dona discusses the exhibitions he currently presents with the thousands of Ooparts, Out of Place Artifacts, that he has collected from around the world. According to modern science none of them should exist. He has also found bones of humans twenty feet tall! The Aetherius Society and Extraterrestrials: Mark Bennet, a member of the worldwide Aetherius Society, discusses the origin of the Society and its current activities. The Society was founded by George King in 1955 under the instructions of extraterrestrials who chose him to be a member of their Interplanetary Parliament. The current members work directly with ETs to help save humanity and the Earth. is 14 Steps to Awaken the Sacred Feminine. Breaking the Rennes le Chateau Code: Investigator Paul Karren discusses the coded messages discovered by Berenger Sauniere in Rennes le Chateau, France. Paul believes he has deciphered the messages and presents his discoveries. Join Mark Amaru for a discussion with Ben Hammott on his discovery of the Tomb of the Mummy of Mary Magdalene and some 2000 year old Middle Eastern artifacts at Rennes le Chateau, France. the ancient sect of Assassins. Author Nicholas Mann discusses the sacred geometry used in the original design of Washington D.C. and how it has since been distorted to give more power to the President. Rene Barnett, producer of the popular Bloodline documentary, discusses the aftermath of the movie and phase two in unlocking the Bloodline mysteries of Rennes le Chateau. 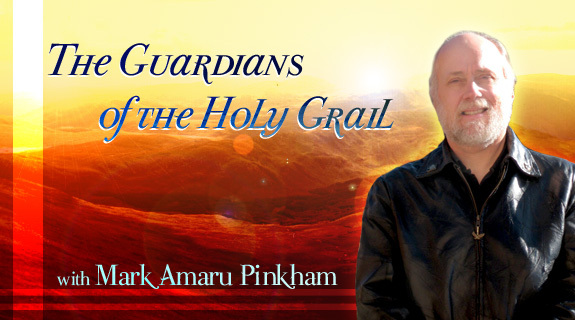 Knight Templar Mark Amaru Pinkham discusses the importance of integrating women into the Initiatic Societies that traditionally only induct men. Tau Malachi, head of Sophia Fellowship, will discuss the path of Gnosticism in the Sophian Tradition. Researcher Gloria Amendola discusses the mysteries and latest research regarding Mary Magdalene, Rennes le Chateau and the Knights Templar. Alchemist Robert Allan Bartlett discusses the path of the modern alchemist. Popular author Andrew Sinclair discusses the mysteries of Rosslyn Chapel and a new discovery recently made there. Steven Armstrong of AMORC discusses the history and current activities of his Rosicrucian order. World renown author Christopher Knight discusses his latest research regarding a Freemasonry conspiracy in Washington D.C. featured in his latest book, Before The Pyramids. Joshua Shapiro, one of the worlds leading experts in the field of crystal skull research, discusses the ancient and modern mysteries of the skulls. Author Lionel Fanthorpe discusses some of the secret mysteries of Rennes le Chateau and the Knights Templar. Rob shares fascinating information about the organization that claims to guard the secret Bloodline from Jesus and Mary Magdalene. Rob has been in direct contact with the Priory for the past ten years and was a special consultant and liaison for Bruce Burgess in the film Bloodline. Lionel shares his immense knowledge of the Jesus and Mary Bloodline, the Rennes le Chateau puzzle and many of the Knights Templar Mysteries. Lionel is one of the first and most prolific researchers of both the Rennes le Chateau and the Oak Island Mysteries. and he was featured in the documentary film Bloodline. Langueduc region of southern France, and the activities of the covert Priory of Sion. Mirza and Kawwal, two Yezidi leaders, speak about the amazing history and religion of the Yezidis which they claim is the oldest in the world and intimately related to the legend of the Holy Grail. Islam identifies the principal deity of the Yezidis, the Peacock Angel, to be Satan and has justified the murder of millions of them over the centuries. Learn about the Yezidis and their Peacock Angel and what we can do to help save them from complete genocide. Mary Magdalene and the true life of Jesus. Hear the wisdom of an American who has lived off and on in the mysterious Languedoc and Rennes le Chateau regions of southern France since 1996. Nancy Safford is a High Priestess of the Isis/Magdalene Mysteries and a founding member of the Sacred Order of Venus Templars. Mary Magdalene of the Languedoc. Nancy shares her prodigious information regarding the Languedoc secrets of Mary Magdalene and Jesus, the Knights Templar and the Cathars. of a Nazi expedition during World War II. and the possibility of creating a modern alliance between the two sibling organizations. Jerry is the author of "SECRETS OF THE HOLY LANCE: The Spear Of Destiny In History & Legend" and one of the foremost experts on the Spear of Destiny, which is the Holy Grail that world rulers have lusted over for centuries because its power makes one a planetary monarch. The Holy Roman Emperors possessed it, and Hitler was able to steal it for himself. A sought after authority, Jerry has made over 400 radio and television appearances worldwide. He is also the author of the best seller "HAARP: The Ultimate Weapon of the Conspiracy," and its sequel "WEATHER WARFARE: The Military's Plan to Draft Mother Nature." A monthly email newsletter is sent to all interested persons.